Over the holidays, we had the pleasure of a trip by small cruise ship through the Panama Canal and around the southern coast of Panama to Costa Rica. In a single trip we had such a vivid range of experiences -- from transiting through one of the most commercially significant engineering achievements of the modern age, to hiking and snorkeling on exquisitely remote and gorgeous tropical islands. The trip was sponsored by National Geographic, so it was full of outdoor activities, wildlife spotting, and ecological education. More about that in future posts. . . .
As you can imagine, the photographic opportunities were many, so I've got lots of shots to sort, edit and present! Best to tackle this in segments. In this post, I'll begin at the beginning. 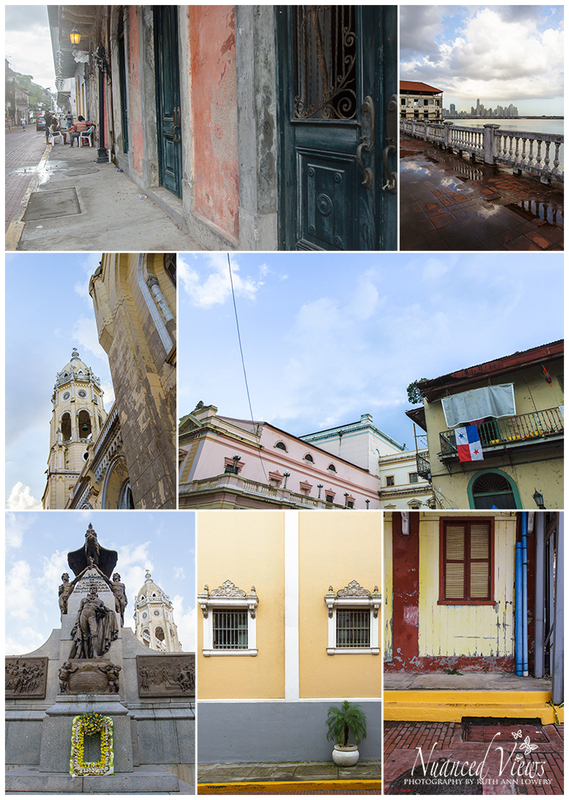 Before we met up with our National Geographic group, we spent a night in Panama City, Panama, where we were able to walk around and take in the lovely Casco Viejo (old city) in warm afternoon light. I was so enchanted by the architecture, the bright colors, and the people. It was a little sad seeing some of the once-stately buildings in a state of benign neglect. 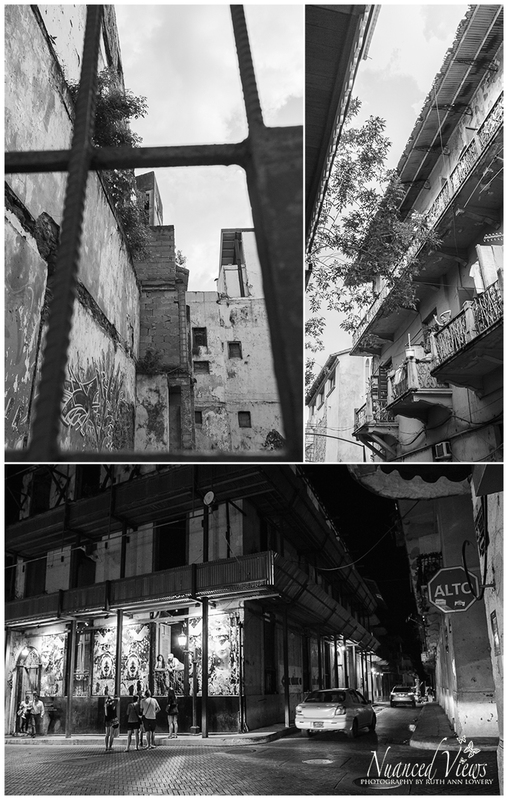 In places the jungle was actually starting to reclaim the city; trees sprout from the roofs of buildings, and colorful graffiti accents delapidated, padlocked courtyards. But this is now considered an up-and-coming trendy area, with many new restaurants and hotels, which hopefully will help lift the residents up a bit. 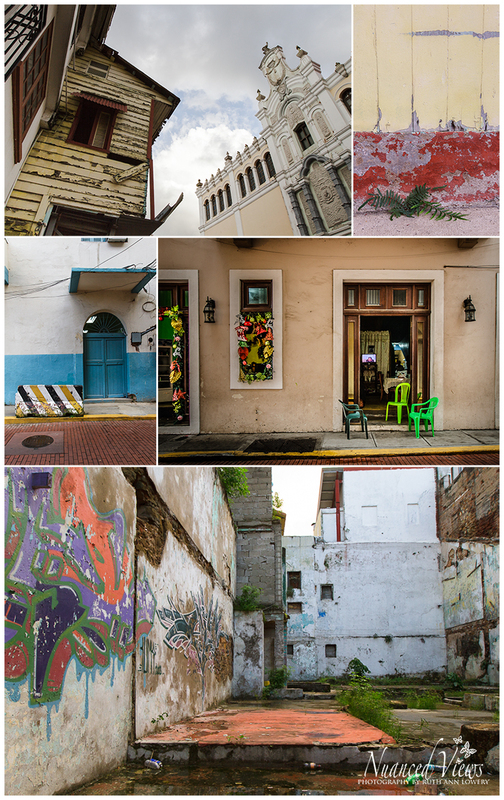 Below is a selection of images from Panama City. You can see more (and larger) photos from Panama City in this gallery. Stay tuned for sights from the rest of our trip, including the famous locks of the Panama Canal!